Whether your preference is for high gloss slab or Shaker door styles, our fitted bedrooms are affordable and for most ranges, we can provide a full, turnkey solution within one month. With many of our clients embarking on large extensions, refurbishments and even new builds, we decided in 2016 to begin offering bedroom solutions as our clients were often on the lookout for well-designed fitted bedroom furniture for several bedrooms, as well as requiring a stunning new kitchen. With a kitchen often preceding a new bedroom, many of our clients have been keen to work with their designer, with whom they have established an excellent relationship during the kitchen design process, on their bedroom designs as well. 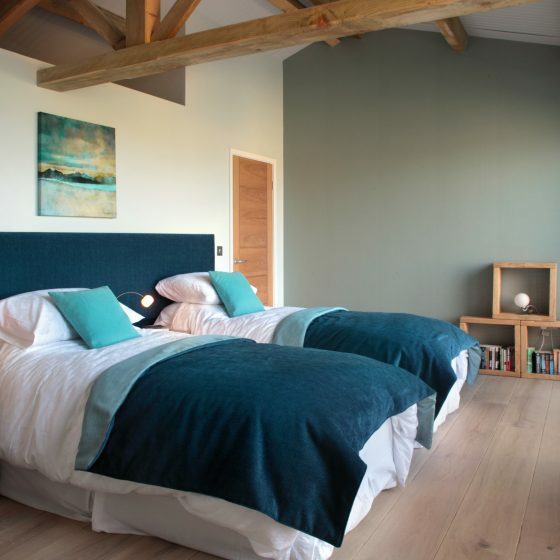 As time has gone on, though, we have found that about half of our bedroom clients are actually new to Design A Space – they come to us as they are keen to work with a designer in a showroom, rather than with one of the travelling, salesman-type bedroom designers who are prevalent in the bedroom industry. 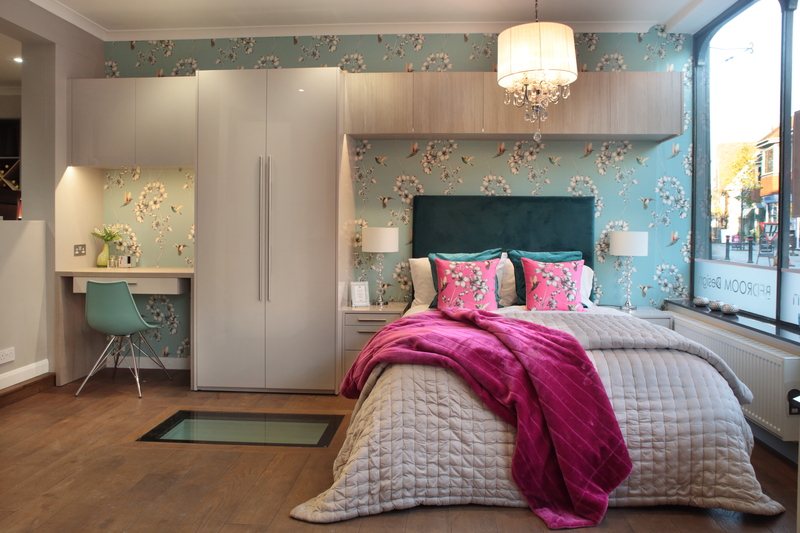 We have a bedroom display in each of our Amersham and Marlow showrooms, by our two main suppliers, Kindred and Trend, the latter of which is made by one of our kitchen manufacturers, Mereway. In addition, we offer truly bespoke, high-end solutions through one of two specialist joinery companies with which we are affiliated. 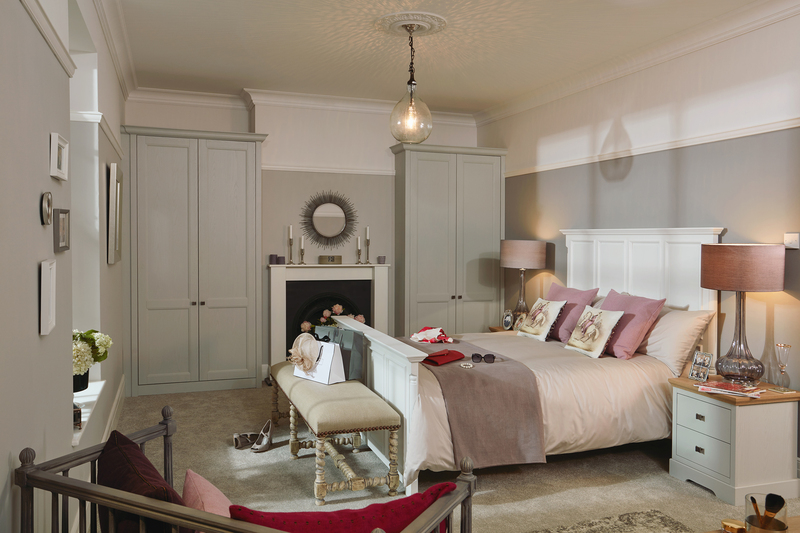 Bedrooms tend to be a much more straightforward layout than a kitchen, often with just one, straight run of well organised wardrobes with lots of clever internal fittings, perhaps with the addition of a matching chest of drawers, bedside tables or complimentary upholstered bed. As a result of this, for most of our bedroom options, we can turn around your design within a week. The exception is our bespoke solutions designed by us and built by one of our affiliated specialist carpenters. The first step in designing is a thorough initial consultation and survey of your room, allowing us to fully understand your design needs within the scope of your available space. Within our bedroom interior design service, we offer one design on a free of charge basis, with one set of alterations included, and thorough quotations accompany both initial and revised designs. Your bedroom design will include life-like, 3D renders and scaled, annotated plans, which are available for you to look at as many times as you need in the showroom, and if you would like to purchase these, there is a £150 design fee which is chargeable, but this is refunded when you order your bedroom with us. 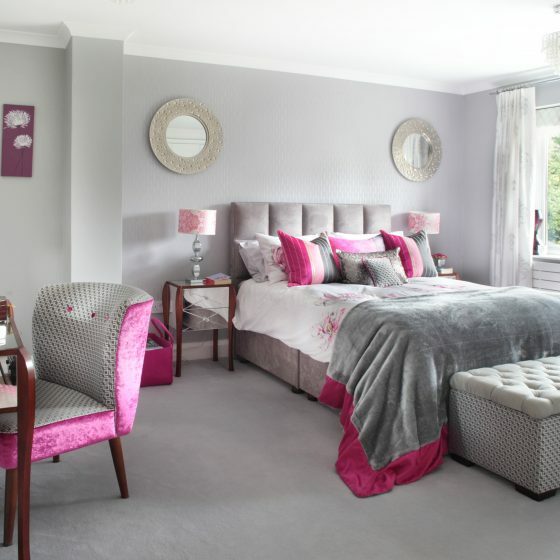 To aid in the smooth installation of our bedrooms, we ensure that your designer carries out at least two surveys of your space, during different stages of the design and ordering process. Our designers are all experienced CAD technicians, and are ably supported by our manufacturer’s technical teams. Alongside a careful and thorough set of technical drawings, an excellent bedroom fitter is a must, in bringing a bedroom design to fruition. Although not as detailed as a kitchen, the degree of accuracy within a bedroom fit is of great importance. Using a Design A Space fitter is not essential, but we strongly encourage our clients to make the most of this additional service. 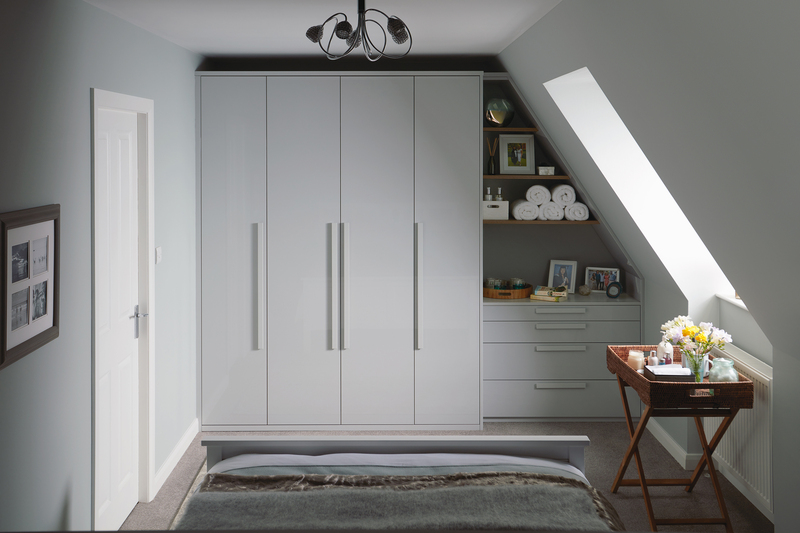 About 80% of our clients engage us to fit their bedroom furniture, which they find provides a valuable turnkey solution and genuine peace of mind.